The songs collected on this album are personal, individuated reflections: often concerned with love, their perspectives are firmly located behind the eyes of well imagined characters, and even when there is celebration in them (as in ‘Paradise’), there is insecurity and doubt as well. 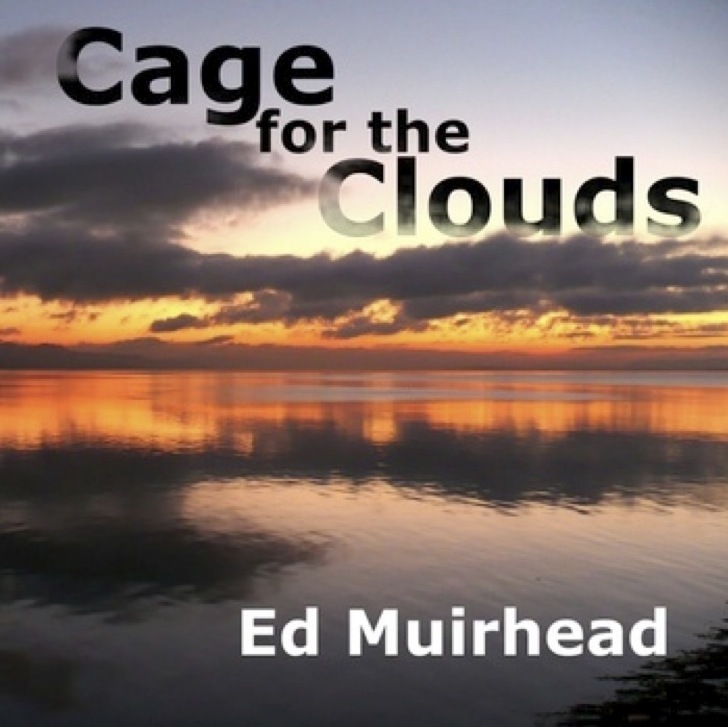 There is a tendency in popular song to express the everyday in melodramatic terms, and while Ed Muirhead does trade in big musical gestures, he bucks that trend by investing his songs with a strong sense of the particular. To me it seems that Cage For The Clouds is very much about content, and not overly concerned with form. That’s not to say that it shows any lack of attention to its musical materials, but in both his lyrical language and performance style, Muirhead seems content to inhabit a ready made environment: he’s not on any great mission to redefine the metaphorical landscape of the rock ballad, nor to reforge the materials of the distinctly British brand of roots rock he chooses to work in. It’s the nature of a style like this, with its gnarled, craftsmanlike vocabulary, to gradually assimilate the features of related musics, as history and familiarity work their normative magic on our reception of them. So these songs have echoes of country rock, pianistic songwriters like Billy Joel and Elton John, and the celtic flavoured rock of 1980s bands like The Waterboys and Big Country; but there are also textures of post-punk in some of the guitar work. It can be hard to put your finger on the right language to describe the style of such music: it almost seems to lack a genre, so low key is its eclecticism, and so well trodden the pathways that it nevertheless remaps to its own purposes, yet it is far from anodyne, and never generic. Muirhead has a sure touch with melody, and guides it sensitively around the twists and turns of a set of chords: songwriting of this sort stands or falls on the coherence with which the lyrical sense, harmonic mood and melodic contours are marshalled, and here they are very much in concert. The arrangements similarly support the songs, in a way that sounds natural, however much work went into achieving it: each aspect of the songs as recorded here is mutually reinforcing. The instrumental performances are solid and unassuming, with a great sense of groove and timbre; and Muirhead’s singing is excellent. He is not blessed with the kind of voice that does the work for the singer, but he has developed a technique that makes everything clear and emphatic, even in melismatic passages with complex phrasing, with every vowel sound gesturally expressive. This is a decidedly characterful singing voice, whose individuality reinforces all the heart and humanity of the songs. This album is a remarkably coherent artistic statement: it’s easy to fall into a game of comparisons, and to contrast the playing with one artist, the writing with another, the singing with a third, and so on. That would be missing the point. There are indeed better pianists in the world, and better singers, more sophisticated lyricists, more literate melodists, and so on; but this is not a music of its parts. Cage For The Clouds is a holistic, unified utterance, which, in its unity, achieves a kind of perfection. As a character portrait, or a set of character portraits, it is a soulful, moving, and absorbing record.